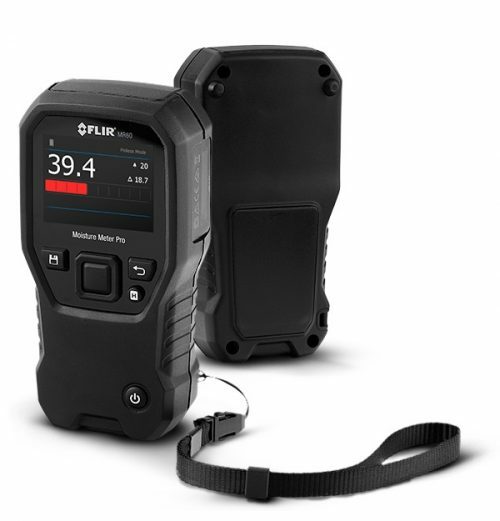 The FLIR CM4X Clamp Meter Family includes three professional and affordable True RMS meters designed for commercial and residential electricians. The CM42 and CM44 feature AC clamp measurement, and the CM46 offers both AC/DC measurement to meet your unique needs. 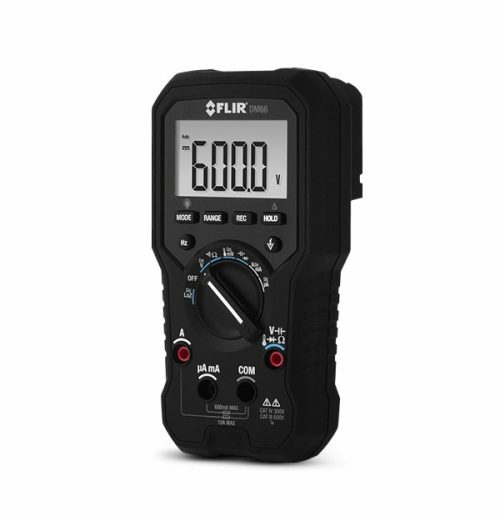 Each meter is equipped with a bright backlit display for ease of use inside electrical panels. Accu-Tip technology delivers amperage measurements on smaller-gauged wires more accurately — to a tenth of a digit. All models offer MAX/MIN/AVG recording, firequency measurement, and electrical field detection to help you determine voltage presence and relative strength of the field. Made with an over-molded, easy-to-grip design, the CM4X clamp meter family is durable enough to withstand a two-meter drop, and the slim form factor is convenient to carry in your toolbag anywhere you go. High accuracy and resolution in small panels • Accu-Tip enable more accurate amperage measurements on smaller-gauged wires • MAX/MIN/AVG recording, and frequency and diode measurement • Data hold, zero function, and low pass filter (VFD) for voltage measurement. 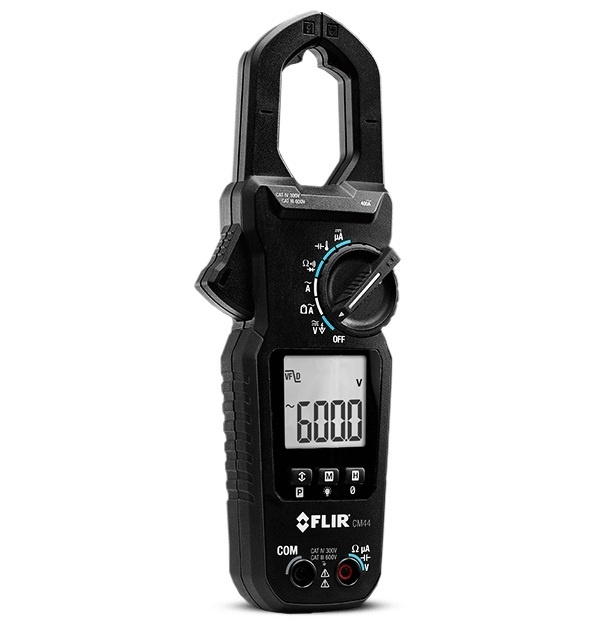 The FLIR CM4X Clamp Meter Family includes three professional and affordable True RMS meters designed for commercial and residential electricians. The CM42 and CM44 feature AC clamp measurement, and the CM46 offer both AC/DC measurement to meet your unique needs. Each meter is equipped with a bright backlit display for ease of use inside electrical panels. Accu-Tip technology delivers amperage measurements on smaller-gauged wires more accurately — to a tenth of a digit. 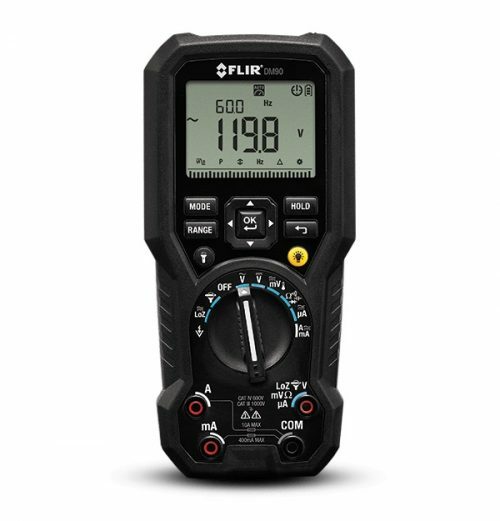 All models offer MAX/MIN/AVG recording, frequency measurement, and electrical field detection to help you determine voltage presence and relative strength of the field. 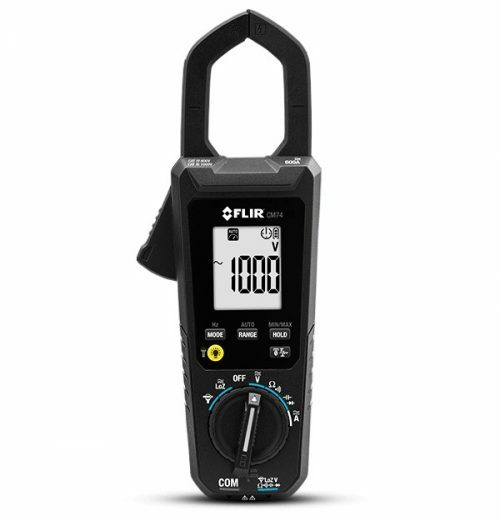 Made with an over-molded, easy-to-grip design, the CM4X clamp meter family is durable enough to withstand a two-meter drop, and the slim form factor is convenient to carry in your toolbag anywhere you go.